As we are inching closer to the launch of Samsung’s Galaxy S9 flagships, more leaks have started emerging lately. 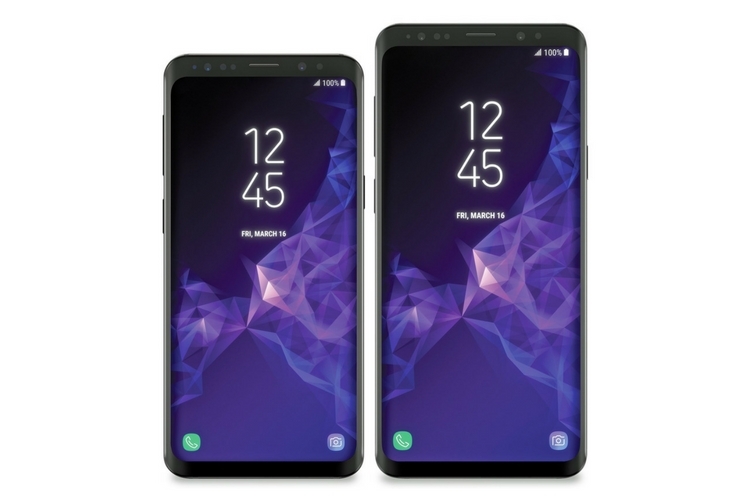 Following yesterday’s report about the upcoming DeX Station, the images of the official Galaxy S9 covers have surfaced online. 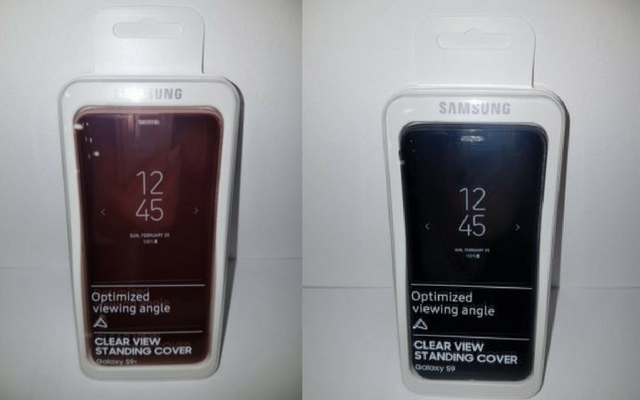 These images confirm that Samsung will offer two new styles of cover for the new flagships. So, let’s take a look at all the new cases that Samsung plans to launch with the new flagship. First off, we have the Clearview standing case. You must be familiar with this case since it is also available for the Galaxy S8. It is a flip case with a clear view on the front. Next up is the LED view cover. This particular cover was introduced with the Galaxy S7 a couple of years ago, and apparently, Samsung has now decided to bring it back for the Galaxy S9 and S9 Plus. In case you forgot, the LED view cover has an LED display on the front to show time, notifications, alarms, etc. One of the most popular covers for the Galaxy S8 is the Alcantara cover, and it looks like Samsung is bringing it back for the Galaxy S9 duo. It is made up of soft microfibre fabric, and it feels quite premium on touch. 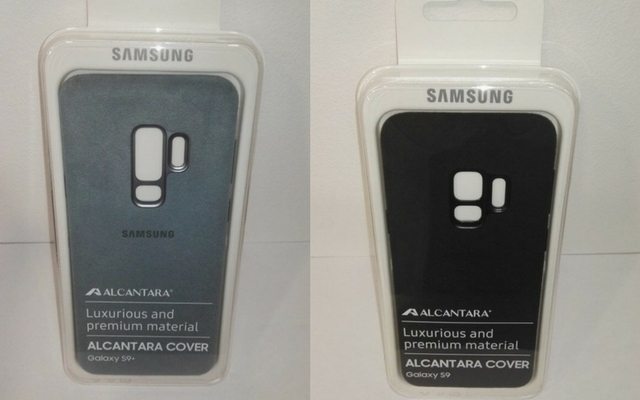 Furthermore, the Alcantara cover also has built-in NFC. 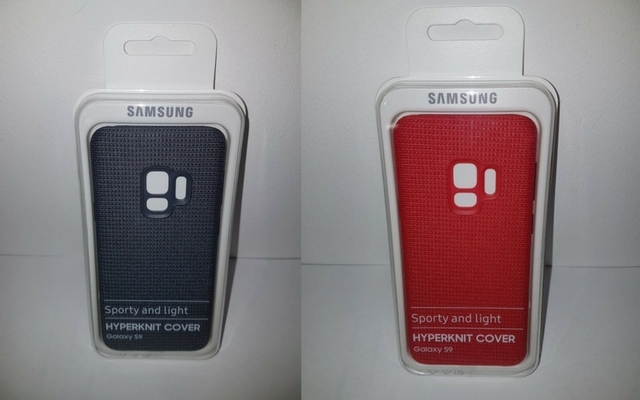 HYperknit is one of the two new styles which Samsung is looking to debut for the new flagships. In case you don’t know, Hyperknit is a woven fabric, and it has a texture which resembles what you see on sportswear. As you can see from the images, the cover’s box says it is a lightweight and sporty cover. 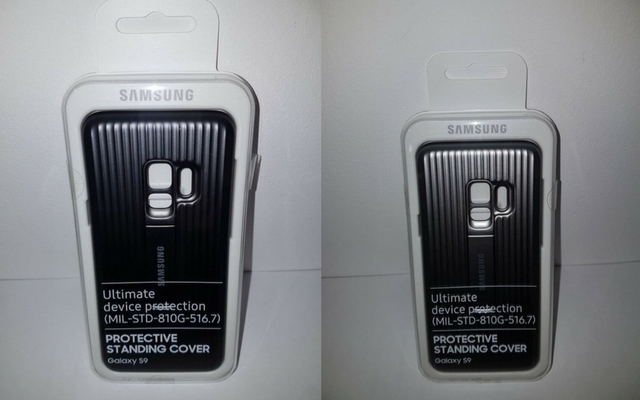 Protective standing cover is also a new variant which Samsung is looking to debut with the new flagships. It offers ultimate protection as it comes with MIL-STD-810G-516.7 certification. According to the reports, the cover is tested against a subset of 10 specific conditions which include extreme temperatures, dust, and vibration, etc. And just like the Clearview standing case, it has a built-in kickstand for landscape viewing. Just like every year, Samsung is bringing back the Silicone cases. It has been long available for most of the Galaxy smartphones, and it offers a snug fit, with a soft exterior. In addition to these cases, Samsung is also said to launch a bunch of other accessories. Lastly, it is worth making a note that Samsung will unveil the new flagships on February 25.